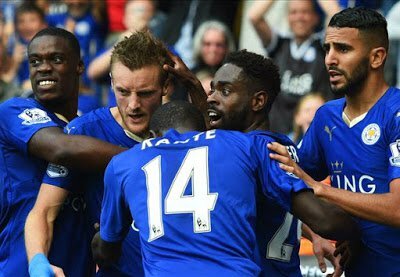 Leicester City have earned millions of fans across the world over the last year and a half through their remarkable rise from the bottom of the Premier League to winning an unlikely title. The remarkable exploits of Claudio Ranieri’s men have proved an inspiration across the globe, with the club becoming big in Thailand, Italy, USA and beyond. And one family in Colombia has opted to pay homage to the English side’s achievement in a peculiar way. In a nod to the Foxes, a child in the South American country has already been registered under the name Leicester David. Naming children after incredible athletes and celebrities is not exactly rare in parts of South America – Radamel Falcao is named after the legendary Brazil midfielder Falcao, while Roma defender Maicon was supposed to be named after Michael Douglas, but his father was misheard when registering him, leaving him with the name Maicon Douglas. This latest example is perhaps a bit less familiar, but having been named after a team that has just achieved the seemingly impossible, little Leicester David has a lot to live up to in his life!